“build large applications with data that changes again and again over time” . Development efficiency – Less development time and higher qualityReact allows you to write modular and clean code, breaking the project into separate components. This also allows for code reuse, which can really boost developer productivity. Flexible and easy to maintainUnlike large monolithic projects, React code is easy to maintain and update due to its modular structure. React products are extremely flexible and can be scaled easily. This can significantly save time and money in the long run. High performance of your appDesigned with performance in mind, the library’s core features, such as virtual DOM and server-side rendering, allow you to create large-scale apps which are really fast. SEO friendly – more visibility for your siteThanks to backend rendering, React projects are better optimized for search engines. Moreover, high speed and performance, which we have listed above, contribute to a better SEO, and also provide an overall better user experience. Open, rich toolsetBeing an open source technology, React is free and open for all. Moreover, it has a rich ecosystem, including such must-have tools as Flux or Redux as well as Node.js on the backend or a large number of task-specific open source libraries, listed on npm. Strong communityBeing built initially at Facebook, the library is still supported and maintained by the company as well as by more than 1,000 independent contributors worldwide. Thanks to the vibrant community and solid corporate support, React is a reliable and up-to-date technology. Easy transition to React NativeReact Native is a mobile development framework, based on React. Thus, it is easy for React JS developers to switch to React Native and create mobile apps with a native look and feel. Moreover, some parts of your React web app can be reused in a React Native mobile app (mostly business logic), which improves the development speed. While ReactJS is a great framework that every developer wants to use regularly, other great frameworks are also effective. Here is a closer comparison of these frameworks. 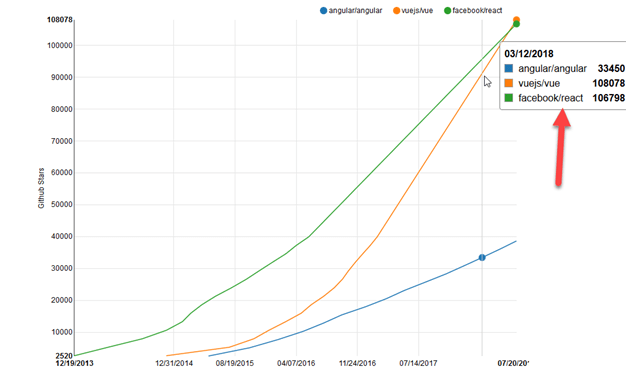 Runtime performance: Both ReactJS and VueJS are exceptional when it comes to speed. In ReactJS, every time a component change, a re-render is triggered for the entire component sub-tree. HTML and CSS application: Everything in ReactJS is JS. Every HTML structure is expressed through JSX while the latest trends add CSS management inside JS as well. However, VueJS embraces classic web technologies and improves on them. The learning step: For a new developer to get started with ReactJS, the learning step is less steep compared to AngularJS. One only needs to get familiar with JS and HTML in the case of ReactJS. What is the current job market like for ReactJS developers in the India? Salary ranges for 4,00,000 to 12,00,000 LPA for experience of 0 to 2 years. Top cities for where ReactJs developers are in demand are Bangalore > NCR > Mumbai > Hyderabad. 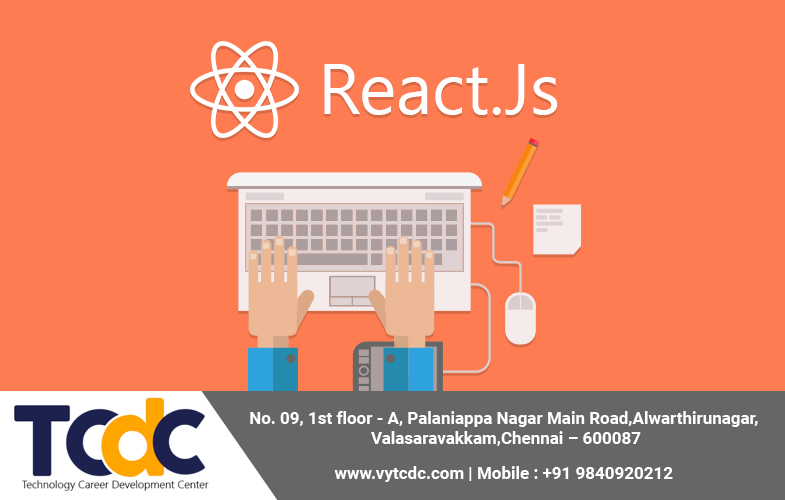 Hopefully, this explanation has helped you to understand about React Js .Choose the best Training Center for React Js . Contact us : +91 9840920212. Previous PostWhy Is Web designing Important in Today’s Competitive World?